HEATING AND COOLING AIR IS EXPENSIVE. SO IT’S BEST NOT TO LET IT ESCAPE. When main doors to your building open and close, air temperature equalisation occurs. If it’s hot outside the hot air comes rushing into your building and the cold air from your building escapes. As well as reducing the comfort within your building, your heating and cooling equipment then has to work harder and spend more of your money to make up for this. A similar thing occurs in winter when it’s warm in your building and cold outside. It’s an unecessary waste of money. Air curtains create an air barrier, separating the outside air from the air inside your building. This helps to maintain a more stable and comfortable temperature in your building and reduces the demands upon your heating and cooling equipment. This can save considerable money in your energy usage. 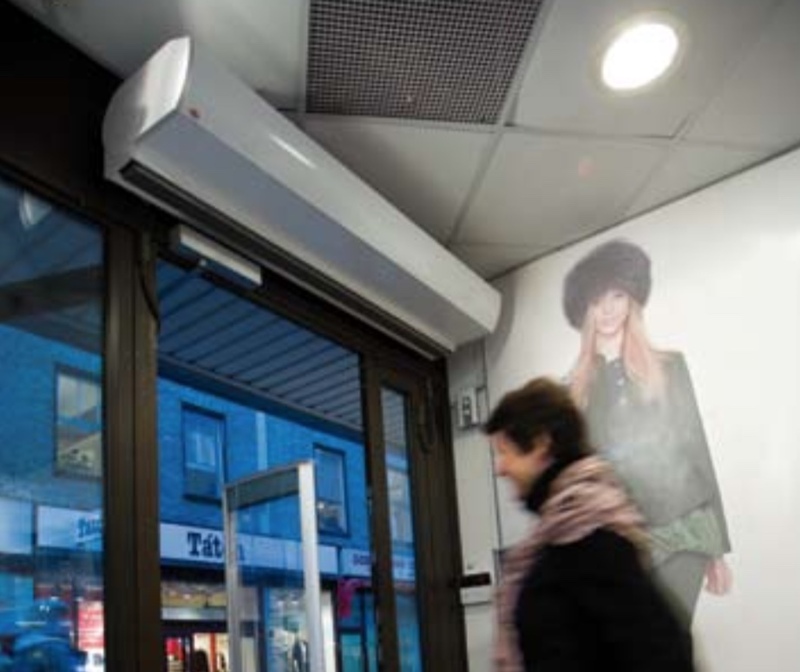 When selecting air curtains, it’s important to consider the height of the door and the external wind velocity that is likely to impact the air curtain. The air curtain needs to maintain a solid wall of air to be optimally effective. Contact us if you are interested in installing air curtains in your building.